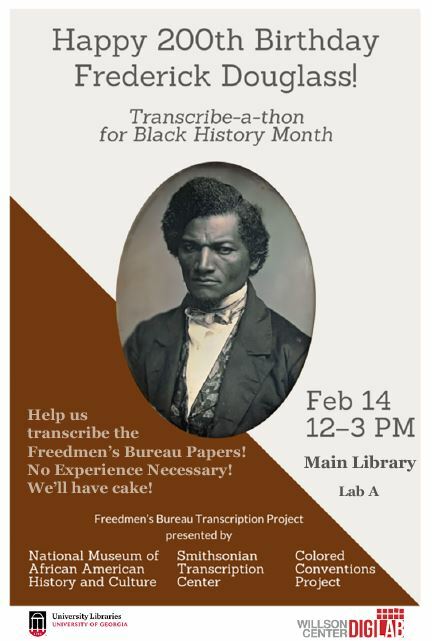 On Wednesday, February 14, from 12-3 pm in Lab A of the University of Georgia Main Library, UGA Libraries and the Willson Center DigiLab are hosting a Transcribe-a-thon to transcribe the Freedmen’s Bureau Papers. February 14th is the 200th birthday of Frederick Douglass. 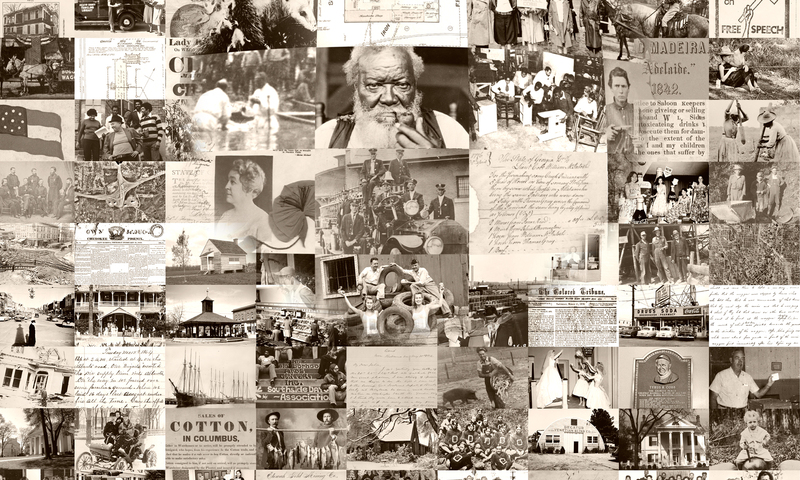 The Willson Center DigiLab and UGA Libraries will be joining the Colored Conventions Project, the Smithsonian Institution, the National Museum of African American History and Culture, and over 40 other organizations to help transcribe these materials. Sign up to participate at this link–registration is now open. For more information about transcribing these materials, check out the “Douglass Day” page on the Colored Conventions web site at and learn more about the Freedmens Bureau Records at the Smithsonian’s web site. Birthday cake will be served at the event at UGA Main Library!